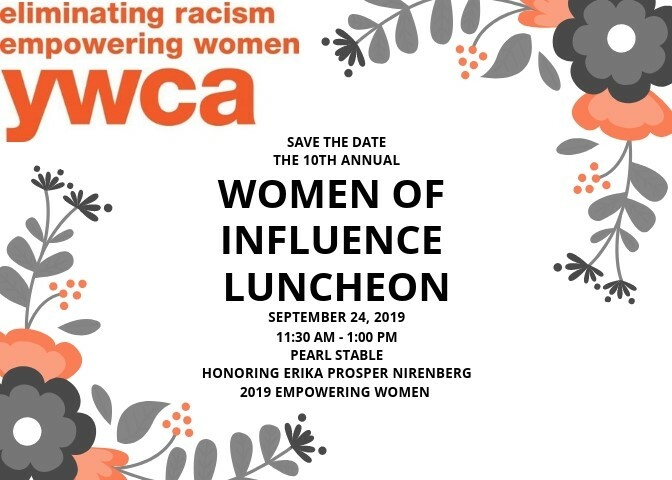 The YWCA’s Tenth Annual Women of Influence Awards Luncheon will be held on Tuesday, September 24th, 2019, at 11:30 a. m. at Pearl Stables. This year, we will honor Erika Prosper Nirenberg with the Empowering Woman Award. We will also honor Rosie Castro, community leader and volunteer, with the Woman of Influence Award. For more than 100 years, YWCA San Antonio has provided programs and services to develop personal empowerment and self-sufficiency in women and their families. We provide high-quality child care, youth programs, mentoring for young women, economic empowerment, health, and senior services. We sustain our programs through contributions by generous community support for the Women of Influence Luncheon. The WOI luncheon is our primary fundraising event, which raises support through sponsorships and tables sales for the YWCA’s programs.